In the year 2448, Moshe Rabeinu was busy from Rosh Chodesh Elul until Yom Kippur. With what? Until now, I did not give it much thought either. On Rosh Chodesh Elul, the Tur tells us that ה׳ called Moshe Rabeinu back to Mt. Sinai to receive the second set of the Ten Commandments, which he received on Yom Kippur. The thoughts in this Dvar Torah, will therefore take us all the way through Elul until Yom Kippur. Just like every Yom Tov, we are renewed with what that Yom Tov stands for, so too are we encouraged to be reinspired by Moshe Rabbeinu’s final trip up Mt. Sinai. We will start all the way back to Shavuot, when Moshe Rabbeinu first received the Torah. At that time, the lesson was, that since the Torah was given, our mitzvot that are performed with physical objects become permeated with spirituality, which was not the case before. Now when Moshe Rabbeinu received the second tablets, this message is reiterated. Our sages write that Moshe Rabbeinu compared his ascent to Har Sinai this last time to the first time he went up. In what way? Just like the first time, ה׳ was pleased, so too this final time, ה׳ was pleased. ה׳’s pleasure was even greater during this last ascent than H- was the first time, because the Jewish people had done an incredible amount of עבודה (spiritual work) to deserve the second luchot (tablets). The Tur that we quoted earlier, continues that when Moshe Rabbeinu went up to Har Sinai, the shofar was blown in the camp. It is from here that Chazal (the sages) fixed the custom to blow the shofar the entire month of Elul (except for the last day) to encourage the nation to do Teshuvah (repentance). The shofar blowing encourages Teshuvah as the posuk indicates: אם יתקע שופר בעיר העם לא יחרדו – is it possible to blow the shofar in the city and the nation does not tremble? A deeper look at the word שופר (shofar) will uncover yet another lesson. 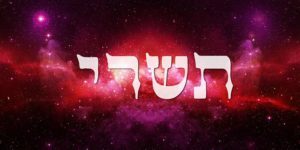 The word שופר comes from the term שפרו מעשיכם- to improve your deeds. The shofar blowing not only brings us to tremble, but prompts us to take a sharper look into ourselves and make some tweeks to improve. This brings such a tremendous pleasure to ה׳. When משיח comes, the shofar blowing will not include זכרונות ומלכויות )Zichronot and Malchuyot) like now, just שופרות (Shofarot) the שופר גדול (the Great Shofar). How very meaningful the intrinsic message of the שופר is. In many of the final פרשיות (Torah Readings) of the entire תורה (Torah) it speaks about a general ברית (covenant) that the Jewish people made with ה׳ to keep the mitzvot. The introduction to this ברית is the mitzvah of ביכורים (Bikkurim, the first fruit offering). בכורים are different than other means of offering thanksgiving to ה׳, in that we are not just offering a verbal thanks to ה׳ for whatever H- blessed us with, but we thank with a deed. We bring the ביכורים to the Beit Hamikdash, and leave them there. It seems that the key to spiritual growth and blessing, is putting one’s thoughts and words into concrete action. This is what brings the ultimate blessing of blowing the שופר גדול with the coming of Moshiach Tzidkeinu. In education too, it is not enough just to read information, it is not even enough to listen to someone speak, and expect to have great retention. Activities based, or project-based learning has received much attention lately. When we give our children the opportunity to solve a problem, or apply a principal from the information taught, the relevance they experience is exponentially higher. CyberSem, which provides education for adult women from 20-120 actively promotes practical integration of the content and information taught even within the online platform. Explore, and register for a course yourself. From the team of CyberSem staff, I wish you all a very sincere Happy and Healthy New Year, and may you all be blessed with more than you ask for.